Six years after the release of his previous album "Landau", Toronto's Chris A. Cummings, a.k.a. 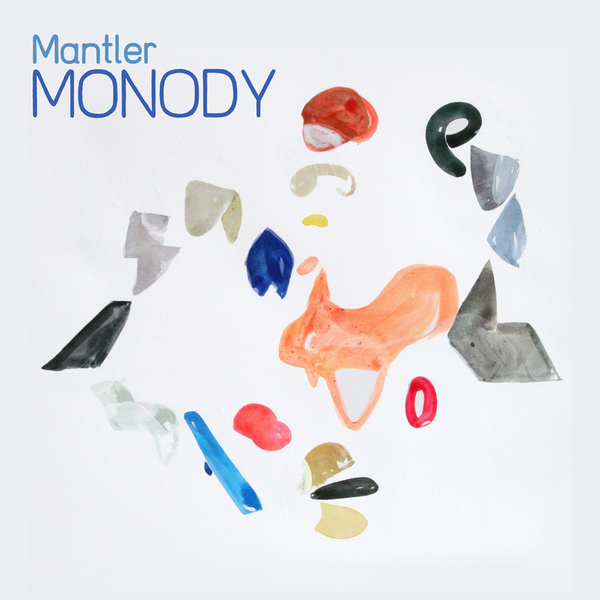 Mantler, is set to release his highly anticipated fourth album Monody in April 2010. The album will be made available via Tomlab in continental Europe, Japan and the USA, and through exciting new partners Tin Angel in the UK and Ireland, and Blocks Recording Club in Canada. An artist who continuously pushes the production envelope, Mantle's albums to date have each brought their own unique sound. Mantler's first album, "Doin' It All" (2000), was recorded almost entirely with a densely multi-tracked wurlitzer, a Rhythm Ace drum machine, and drums sampled on a primitive 1980s sampler. His second album "Sadisfaction" (2002) was more expansive, sedate and"rock"-like while the third album, "Landau" (2004), featuring tighter songs and brighter production, was intended as a tribute to the R&B sound of the late 1970s and early 1980s (the album was frequently compared to Steely Dan). Mantler's new album, Monody, combines the best elements of the previous albums to create a grander, more epic version of his sound - the density of "Doin' It All", the sedate quality of "Sadisfaction", and the songwriting focus of "Landau". Combining soul, rock, r&b, jazz and various other influences, the sound of Monody, which means "a sad melody" or "a single melody", is hard to pin down. Mantler further elaborates: "I like it when a 'normal' artist tries to make a 'weird' album, like Fleetwood Mac's Tusk, or when a 'weird' artist tries to make a 'normal' album, like Archie Shepp's Attica Blues. Somewhere between Tusk and Attica Blues, that's the area I'm aiming for, conceptually. Even if the end result sounds nothing like either of those two albums!" To help achieve this junction of influences, Mantler teamed up with a plethora of talented collaborators. Six tracks on the album were produced by longtime Mantler producer Zack G, while Jeremy Greenspan (Junior Boys) and Leon Taheny (Bruce Peninsula) each produced 2 tracks and Owen Pallett did brass arrangements on two tracks. The roster of acclaimed guest musicians includes: Constellation artist and Toronto music guru Sandro Perri, ex-Montrealer and Local Rabbit Ben Gunning, the Ohbijou string section (Jennifer Mecija and Anissa Hart), two of the mad geniuses behind The Silt (Ryan Driver and Marcus Quin), Ernest Agbuya and Matias Rozenberg of The Matias Band (of which Mantler is also a member), Sam Allison and Teilhard Frost of Sheesham and Lotus, as well as longtime backing vocalist Dennis Frey.